MTV debuted on August 1st 1981. 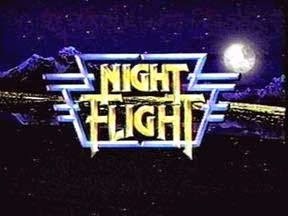 USA Network's overnight video and music show Night Flight debuted June 5th 1981, featuring not only a healthy dose of videos from alternative bands, but B movies, interviews with artists and cultural figures, cult movies, short videos, cartoons, and stand up comedy. It was a lifeline to those of us living in small towns where there was little to no access to anything alternative or weird. In fact, in the town I lived in MTV was banned until 1985, but since they couldn't ban an entire network I looked forward to Friday and Saturday nights and Night Flight. The show began at 10 p.m. Central time, and lasted four hours. It was then reshown at 2 a.m., and the rising sun often found me sitting there watching that second showing in its entirety even though I had also watched the earlier showing. There was no "host" in the early years, just the voice of Pat Prescott doing an introduction to the individual pieces. 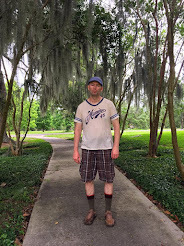 It was the first place I encountered the Church of the Sub-Genius in the segment Love That Bob, and most likely the first time I saw the Devo video for "Whip It." other segments included New Wave Theater, featuring punk and New Wave bands, Atomic TV, featuring Cold War era videos, The Video Artist, and Tales From Tomorrow. No doubt about 99% of it was going right over my head at 13 years old, but I knew I liked it and longed for a world that was more like Night Flight than the small town reality of conformity and Revenge of the Nerds type bullies I existed in. The 80's really were a lot like the high school John Hughes' type movies about cool kids and jocks and freaks and geeks. Despite current fashion standards that geek is sheik, and being a nerd is cook, it sure wasn't in 1983. And that's what made Night Flight such a lifeline to geeks like me who were so outnumbered and so isolated in small towns across America. Night of the Living Dead, The Rocky Horror Picture Show, Dementia 13, Eraserhead, and The Terror were shown in their entirety on Night Flight. There was nothing like it. MTV was nothing like it. Nothing like it existed before, during, or after its original run from 1981-1988. I guess you had to be there and know what it's like to live in a world without 24 hour access to every cool and new and interesting thing, and social media blasting out and sharing it all so we all virtually instantaneously can share in every new zeitgeist to understand what it meant to have just that one source of connection to someplace out there that contained people who thought and believed and created the way you did, and weren't punished or ostracized for it, they were revered. By the time Night Flight left the air in 1988 the era of grunge was about to sweep out the long national nightmare of Reagan, hair metal, and blind conformity. By 1990, everyone in America was cool, and Night Flight was just one of dozens of ways one could access what was cool and hip and new. It was there for those who needed it at a time where there was almost no alternative.